The American artist Andy Warhol was part of the Pop Art movement which shook up the art world in the 1960s. His iconic images of everything from Marilyn Monroe to CampbeIl’s Soup cans are easily recognisable even to this day. 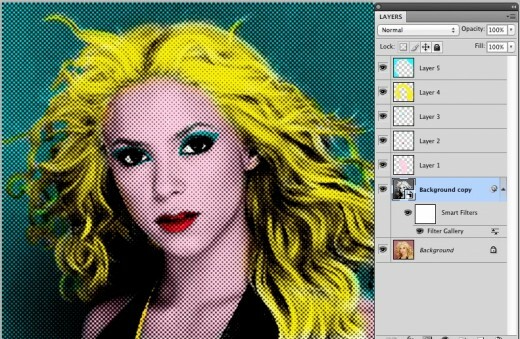 For this project we will recreate one of the styles popularised by Warhol – a halftone coloured image effect. We’Il start by applying a Halftone filter to the image to convert it to a series of black dots on a white background. We’Il then add a series of layers to the image and use them to paint the image with some simple colours. We’Il finish with a curves adjustment to boost the image contrast. Open the image of your choice. If you’re using your own image. 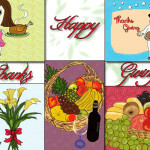 crop it to a square shape using the Crop tool. Choose Window> Layers if the Layers Panel is not visible. 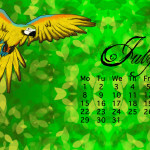 Right-click the Background layer and choose Duplicate Layer. Click OK. Choose Filter>Convert for Smart Filters. Click OK. Press D to reset the foreground and background colours. Choose FiIter> Filter Gallery. Open the Sketch filters and click on Halftone Pattern. Set Size to 2, Contrast to 17, Pattern Type to Dot. Click OK.
Click the Add New Layer icon at the foot of the Layers Panel. Set the Blend Mode to Linear Burn. Choose a round soft brush, set the foreground colour to #f9d7e6 and paint in the skin. Repeat the process and add new layers for each colour paint. We used #f95963 for the lips, #54eee3 for the eyelids, #fceb32 for the hair and #77f6fb for the background. If desired, lessen the intensity of a colour layer by reducing that layer’s Opacity. Click the Background copy layer, choose Layer> New Adjustment Layer>Curves. Click OK. Drag a sharp upwards bend in the curve to add some contrast to the image.